Alana Serhan. Photo by Chantal Zdan. 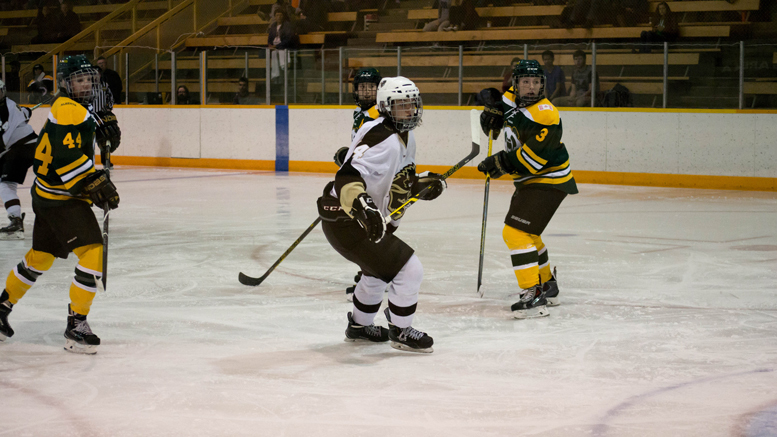 This weekend, the University of Manitoba Bisons women’s hockey team played a two game series against the Mount Royal Cougars. The Bisons maintained their perfect record through four games with a 2-0 win on Friday and a 2-1 win on Saturday. In game one of their weekend road trip, the Bisons spoiled the home opener of the Mount Royal Cougars in Calgary with a 2-0 win. The game was a back and forth defensive battle, which finally gave way 27 seconds into the third, after Mount Royal’s Jordan Finnie took a hooking penalty in the final moments of the second period. Lauryn Keen notched her second of the season on the ensuing power play, with the assist from Venla Hovi. The lead was extended three minutes later when Keen and Hovi came together again, this time with help from Cailtin Fyten, to give the Bisons a 2-0 lead and Keen her third goal of the season. Hovi was able to push the puck through a crowd, where Keen was waiting to put it in the back of the net. Cougars’ netminder Emma Pincott managed to keep her team within striking distance, making two cross-crease saves to keep the Bisons’ lead at two. But it wasn’t enough, as Bison goaltender Rachel Dyck stopped all 20 shots she faced to help her team secure the shutout win. The Bisons continued their winning ways in the second game of the back-to-back, taking the weekend series with a 2-1 win over Mount Royal. The Cougars got on the board first, with Erin McLean scoring less than two minutes into the second period. McLean pounced on an opportunity, snagging a loose puck and firing a wrist shot over the shoulder of a screened Amanda Schubert. The Bisons evened it up before the second frame was done. Keen notched her third of the weekend and fourth of the year, once again on the power play. 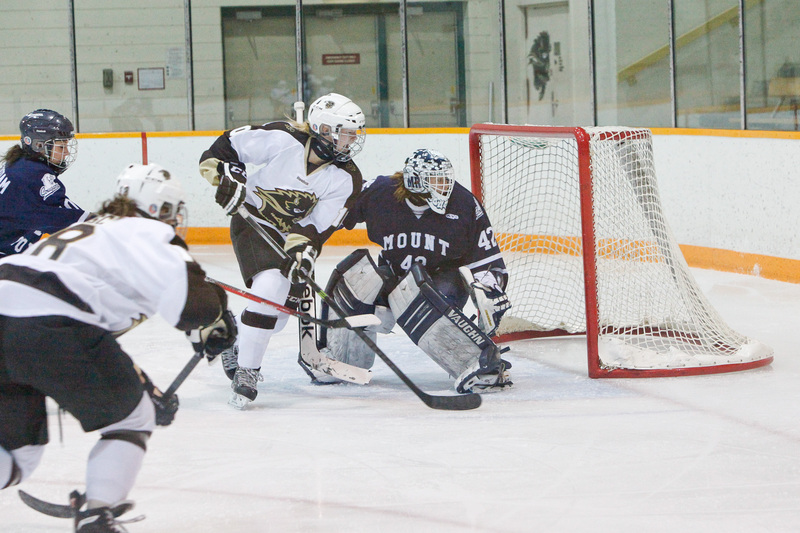 Mount Royal goaltender Zoe DeBeauville initially stopped the shot by Keen; however, it trickled behind her and into the net, tying the game at 1-1. The Bisons would take the lead off an Erica Rieder goal, early in the third period. The sharp angle shot sneaked through the Mount Royal goaltender. Bison goalie Shubert was credited with the assist, and the Bisons would take the game 2-1. Cougars’ goalie DeBeauville stopped 28 of 30 shots in the loss, while Shubert stopped 17 of 18 for the herd. The now 4-0 Bisons open up their season at home on Thursday, as they take on the University of Regina Cougars at the Wayne Fleming Arena at 7 p.m.